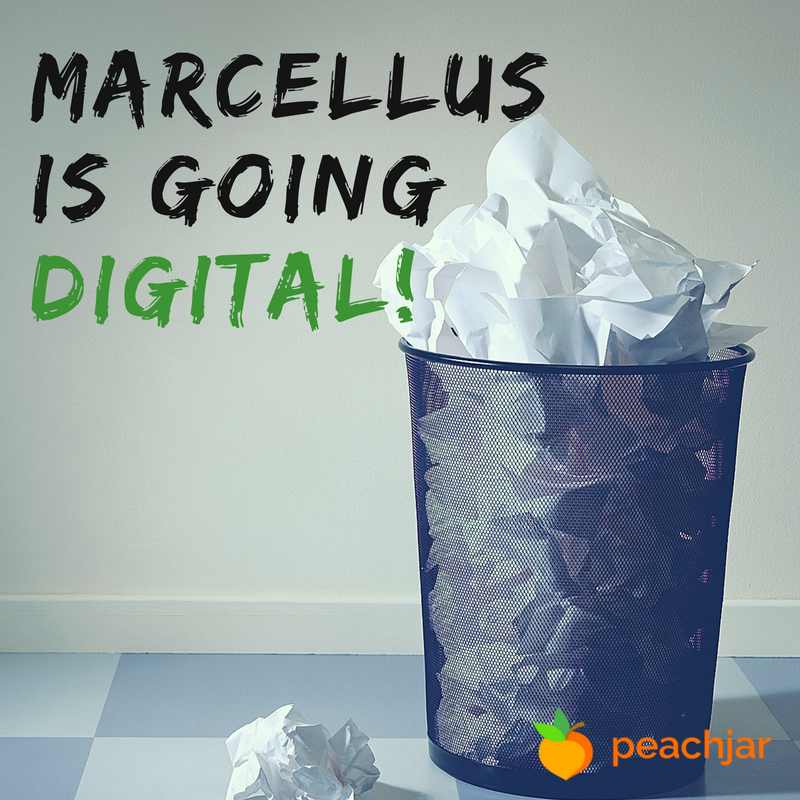 As part of our efforts to embrace innovative technology and maintain fiscal responsibility, the Marcellus Central School District is moving to digital flyer delivery via Peachjar, an online service for schools. This service is part of our ongoing support of not-for-profit community groups and organizations that sponsor activities of an educational/enrichment nature for students and staff. How do I sign up for Peachjar? Parents and guardians who have an email address on file with the district do not need to do anything. You will receive a welcome email Aug. 30 that includes a username and password. This is provided to give you the opportunity to manage your account and flyer delivery preferences. If you are not receiving flyers or wish to use an alternate email address, sign up at www.peachjar.com. Be sure to select “parent/family member” for your account type. What do I do with my login information? You do not need to log in to receive or view school digital flyers. Peachjar is a free, opt-out program, so you will automatically receive school-related flyers unless you choose to opt out by clicking “Unsubscribe” in any Peachjar email. Will I still receive paper flyers from outside organizations via my school? No. Paper flyers from outside organizations will no longer be distributed within the schools. Instead, e-flyers will be emailed directly to the inboxes of parents and guardians for whom the district has email addresses on file, as well as posted online for easy access. Will my email address be used by Peachjar for other solicitations? No. This system is used exclusively for distribution of school-approved flyers. Your email address will not be shared or used for any other purpose. Thank you for supporting our efforts to ensure parents are well informed about school programs, activities and events. How do I view flyers? Once a flyer is posted to a school’s Peachjar site, parents can view the flyer by clicking on the Peachjar logo for each individual school (see above). Additionally, flyers will be delivered to all parent-subscribers’ emails as an embedded image, not a link. This means parents will immediately see the flyer and be able to click through to an organization’s website to sign up or learn more. Register at www.peachjar.com. Be sure to select “program provider” as your account type and follow the onscreen prompts. Note that Peachjar charges a fee for this service for events where an admission or other fee is collected by the organization. This fee is typically less than the cost to copy and deliver flyers to each school. Once submitted, flyers are automatically delivered to the district for approval. If approved, the flyer will be delivered to parents and posted online to the selected schools. Flyers that promote an educational experience for students or parents, a healthy use of leisure time and/or a special enrichment activity. Information targeted to staff that announces job-related activities and instructional opportunities related to the Marcellus CSD curriculum. In accordance with the American with Disabilities Act’s requirements for digital content, Peachjar's content complies with the Web Content Accessibility Guidelines (WCAG) 2.0 A & AA standards. These are the guidelines with which the Office of Civil Rights requires the school district's digital content to comply. Peachjar has completed an audit performed with Monsido, a leading web accessibility scanning tool, and both its emails and school Peachjar flyer pages are in compliance.